The State of Connecticut — whose location is highlighted in red on the adjacent map — is bounded by Massachusetts on the north, by Long Island Sound on the south, by Rhode Island on the east, and by New York on the west. Connecticut is the 48th largest state in the United States, covering a land area of 4,845 square miles (12,549 square kilometers). Only eight counties comprise this small state. This Connecticut map site features road maps, topographical maps, and relief maps of Connecticut. The detailed, scrollable road map displays Connecticut counties, cities, and towns as well as Interstate, U.S., and Connecticut state highways. The pannable, scalable Connecticut street map can be zoomed in to show local streets and detailed imagery. to view a scalable Connecticut road map. The detailed Connecticut map and the regional Connecticut map display cities, roads, rivers, and lakes as well as terrain features. The detailed map shows only the State of Connecticut, while the regional map shows Connecticut and the surrounding region. Connecticut's capital city is Hartford. Other major cities found on the Connecticut map include Bridgeport, New Haven, and Stamford. In 2005, the population of Connecticut was estimated at 3,500,701, which is about 724.5 people per square mile. In 2010, Connecticut's population rose to 3,574,097 people. Connecticut is one of the most suburbanized states in the USA. The state's Interstate Highways include I-84, I-91, and I-95, and I-395. The name Connecticut is derived from the Mohegan word Quinnehtukqut, which means "long river place" or "beside the long tidal river". The Connecticut River, New England's longest waterway, separates the eastern and western highlands. Mystic Seaport, the state's most noted tourist attraction, was an important shipyard during its 18th and 19th century heyday. Each year, thousands of visitors tour its restored buildings and ships. For more Connecticut travel and tourism information, visit the official Connecticut tourism site and Connecticut Atlas. This online Connecticut reference map shows major cities, roads, railroads, and physical features in Connecticut. 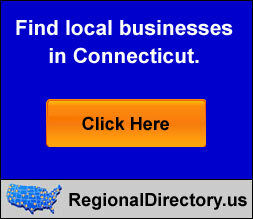 Several map publishing companies offer printed maps of Connecticut. For example, Omni Resources offers several maps of Connecticut that feature points of interest, airports, and parks, as well as selected local attractions and insets of major Connecticut cities. Connecticut-Map.org Editor, State Maps, PO Box 775, Barnegat, NJ 08005.